Directions: Right off I-5. Take exit #27, head east for about two blocks. Go left on Highland Drive. 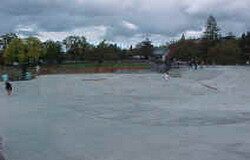 Turn on the first paved left for the skatepark's parking lot. 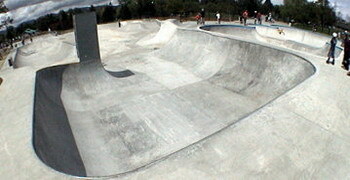 Description: The bowl is probably 12 feet deep on the deep end and about 6 feet deep on the shallow end. 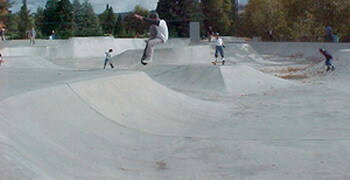 The small snake pipe leads right into the corner bowl with 15 foot extension. 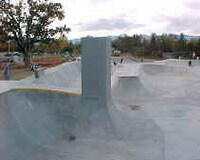 There is plenty of parking and restrooms are withing eyesight.